If you’re looking for a change of career or are just keeping your options open then you may want to consider a career as a forklift driver. Your future employers will be very impressed by the skills that you would have mastered by gaining a forklift licence. There are intensive forklift courses located all over the UK so there is bound to one near to you, intensive training courses enable you to learn all the skills that will be required of you within just a few days, after this time you would have gained your license as a forklift driver. We hope that the information that we will give you will help you understand more about intensive forklift training courses and of course you can be rest assured that the information that will be given will be the latest information available, so you won’t be missing out on anything! We’ll have it covered. We will let you know where the training centres are located and we will tell you all about the different types of forklift vehicles that you could be working with. If you didn’t already know all forklift truck drivers located in the UK must be certified, and it’s because of this reason that there is a huge demand for forklift drivers here in the UK. Just take a few moments to think about this, every single thing you buy must have been transported from where it starts out to where it ends up in the shops or at other destinations. They may have started life in another country and so will need to be transported onto planes, lorry’s, ships etc and then once they arrive they will then have to be unloaded either at depots, shops, and warehouses for example. The list is endless, so enough of this! You get my point. What types of forklift courses are there? Forklift training courses all take place at training centres and as we mentioned earlier there are many of them around the UK, so don’t worry there should be one close to you. Courses on average last for 1 – 5 days but it really all depends on where you take your training, not all training centres are the same, another factor regarding time scale is whether or not you have had any past experience with forklifts. If you are a novice and have never dealt with forklift trucks before then you will probably need the full 5 days. Someone with previous experience will need less time. 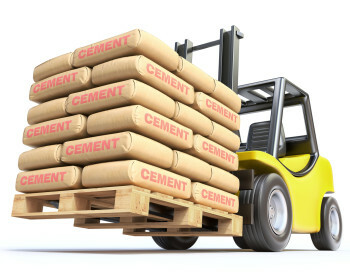 Throughout your course you will trained up by experienced forklift drivers and will cover all the different aspects on forklifts, you will soon be able to grasp all there is to know and will gain all the specialist skills that will be required to be able to work a forklift safely and effectively. Novice – This is the ideal option for anyone who doesn’t have any previous experience with forklifts. It usually takes on average 5 days to complete this course. Semi experiences – If you have got previous experience with forklifts but haven’t been certified then this is the best choice for you. This course usually takes 3 days to complete. Conversion – If you have been certified on one type of forklift but want to be certified on another type then this is your best option. This course will usually take 2 days to complete. Refresher – This is for anyone who is currently certified but who needs to renew their license. This course takes just 1 day to complete. The aim of your training will be to ensure that you can work a forklift safely and effectively, you’ll be shown how to stack and also unstuck loads at various heights and also how to manoeuvre the forklift in tight spaces. You’ll also be shown how to carry out checks on the equipment, how to carry out your daily inspection and also take over and maintenance as well as weight assessments. 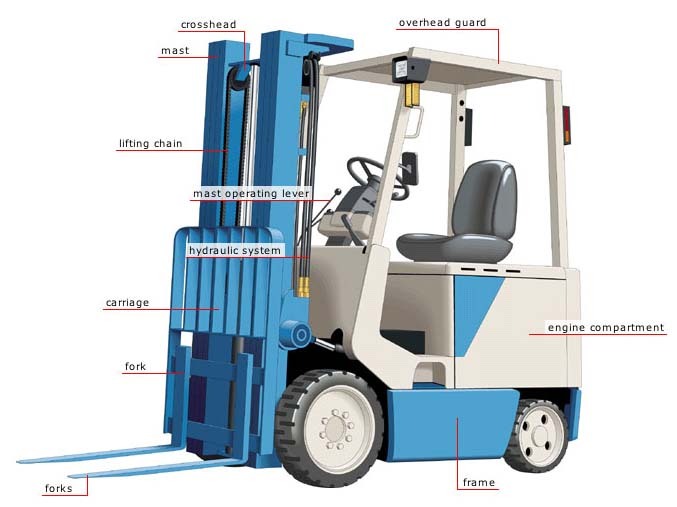 As you are probably well aware there are many different types of forklift trucks including: Double reach, reach, stackers, counterbalance, telescopic, pivot steer and many, many more. If you’re not sure which truck is best suited to your requirements then ask your course provider who will be happy to help. After you have finished your training you will then be tested on what you have been taught, you will have two tests that you must pass before you can be given your license. There is the practical test and the written test. During the practical test you will have to show how you operate a forklift in confined spaces and with no loads, demonstrate how you carry out equipment inspections and how to load and unload at various heights. In order to successfully pass the practical test you must not exceed more than 40 penalty points otherwise you will fail the test. For the written test you have to gain a minimum mark of 80% in order to successfully pass. If and when you successfully pass your tests you will be provided with your ‘Certificate of Basic Training’, this certificate means that you can now work as a forklift operator, this certificate is your license as there is no forklift license as such, you are now classed as a fully qualified forklift operator, just remember that being qualified to operate one type of forklift doesn’t mean that you can operate another type, you must complete another course in order to operate another type of forklift. Your certificate will prove to future employers that you have trained in an accredited forklift training centre and have all the required skills to be able to carry out a successful job as a forklift operator. If you are currently unemployed but want to train to become a forklift driver then there is the back to work training scheme that could be of interest to you. You can get your training costs paid for you. It may be worth mentioning at your local job centre to see whether or not this option is available to you. Well that’s about it I hope we have helped you learn more about training to become a forklift operator and let me take this opportunity to wish you the very best of luck for the future!